Got a question you want to ask? Post it in the Community Forum thread “September 2018 - A Conversation with Linden Lab CEO Ebbe Altberg” in advance of the Town Hall. Questions will be selected from all submissions made prior to Sept. 10, so make sure to weigh in now! Don’t forget to mark your calendars for Sept. 13 to see if your question is selected. On that day, you can join us live for the Town Hall meeting. Location will be publicized closer to the event - stay tuned! We’ll see you inworld soon! Hint: “Come have a drink in this futuristic bar. This is where the gift will not be too far.” Horizons. Hint: “Relax under the stars and this tropical hideaway. Can you catch those Glytches? Do you want to play?.” Volterra. We will be performing scheduled maintenance from 5:30 AM to 6:30 AM PDT, Monday August 13th, 2018. During this time you may notice slower than normal load times as well as issues with login and billing services. We appreciate your patience while we continue to perform upgrades and maintenance. You can check for the latest update by visiting the Second Life Grid Status Blog. This scheduled maintenance affects: Second Life Services (Logins, LindeX Purchases, Marketplace Purchases), Inworld Services (Group Text Chat, L$ Transactions, Rezzing, Voice Chat, Profiles, Teleports, Inventory, Group Voice Chat), and Websites (secondlife.com, marketplace.secondlife.com, community.secondlife.com, wiki.secondlife.com, my.secondlife.com, jira.secondlife.com, support.secondlife.com, search.secondlife.com, places.secondlife.com). Hint: “Come and visit for a spooky stay. Once you enter you may never go away!” Falmouth. Hint: “Go to this location and you can see, all the bears that already be.” Bear Island. Hint: “ Those mischievous Glytches have taken over the Shire! Can you find the gift before they set it on fire?! ?” Hartyshire. Land Price Cut: Lower Prices and Reduced Set-up Fees! Effective immediately, monthly maintenance fees on Private Estates have dropped in price by up to 15%! In addition, one-time land set-up fees are also being reduced by as much as 41%. Whether you are an existing or former landowner (or just thinking about owning land), now is a great time to save on Private Regions to build, create and design your own homes, businesses or experiences in Second Life! Check out our Land page to learn more. TERMS & CONDITIONS: Private Estate price reductions do not apply to Skilled Gaming Regions. While new Openspace Regions are no longer available for purchase, existing Openspace Region landowners will receive the newly-reduced monthly pricing. In addition, these changes will not impact any grandfathered or “bought down” land prices, since those are still below the newly-reduced rates. Lastly, Education/Nonprofit (EDU/NP) discounted full islands have also been re-priced to maintain their 50% discount off the regularly priced full islands. The new price of $124.50 will go into effect at the start of that island's next invoiced billing term. Premium Members receive a L$1000 sign-up bonus, a weekly L$ stipend to spend on whatever you want, your own home, and exclusive gifts like an amazing Crystal Fortress Skybox (pictured). You can also enjoy many other benefits, like exclusive access to Premium Sandboxes inworld (where you can create and meet other Premium Members) and Premium Access that gives you priority access to crowded Regions and events. Upgrade to Premium and start enjoying the benefits now! This Skybox is a Real Gem! Talk about a view! In honor of our 15th Birthday we are giving Premium Members a very special new gift, a Crystal Fortress Skybox! The new skybox is a luxurious palace with several special features like a teleport system for easy access to all areas, a water feature with koi fish, and your own Guardian Dragon! Okay, so your Guardian Dragon doesn't do much serious guarding. He mostly flies around inside your skybox looking awesome. The Crystal Fortress also incorporates a privacy screen so you are not visible from the outside and has a special owner-only access port underneath coded to your UUID. Use it as your home, a gathering place for friends, a work space, or just for yourself as a special place for some solitude. Premium Members can stop by one of the Premium Gift kiosks to claim their gifts. If you’re not yet Premium, take advantage of this 50% off sale to upgrade and grab your Crystal Fortress right now. *TERMS & CONDITIONS FOR 50% DISCOUNT This offer begins on June 21, 2018 at 8AM Pacific Time (PT) and expires on July 5, 2018 at 8AM PT. To qualify for this promotion, you must 1) have an existing Second Life ("SL") basic account or create a new account, and 2) select monthly (every one month) billing for your SL account. The fifty percent (50%) discount will be applied to your first month's bill and future months will be billed at the standard Premium Membership price (currently US$9.50 per one month). For new accounts or accounts not previously upgraded to Premium Membership, after initial login through the Second Life viewer following upgrade to Premium Membership and: 1) following your first full week, the L$300 weekly stipend will be deposited to your account every Tuesday for the duration of your Premium Membership; and 2) after your account has been active for forty-five (45) consecutive days, the L$ sign-up bonus will be deposited to your account. As Second Life continues its 15th birthday festivities this month, we’ve got a new pricing announcement that is definitely worth celebrating. How about lower land prices and reduced set-up fees? Effective July 2, monthly maintenance fees on Private Estates are dropping by up to 15%! In addition, one-time land set-up fees are also reduced by as much as 41%. And remember, the setup fee includes your first month’s payment. The fine print? These price reductions do not apply to Skilled Gaming Regions. New Openspace Regions will no longer be available after June. However, existing Openspace Region landowners will benefit from this newly-reduced monthly pricing beginning July 2. Also, these changes will not impact any grandfathered or “bought down” land prices, since those are still below the newly-reduced rates. Lastly, Education/Nonprofit (EDU/NP) discounted full islands will be re-priced to maintain their 50% discount off the regularly priced full islands. The new price of $124.50 will go into effect at the start of that island's next invoiced billing term. These latest price reductions continue our commitment to improving the overall health of the Second Life economy, which historically has relied a lot on costs incurred by landowners. For example, in March we lowered Mainland costs by over 10 percent and doubled the Mainland allotment for Premium Members. In addition to dropping prices on land, on July 2, we will also increase the cost to buy Linden Dollars to $1.49 per transaction (compared to the current rate of 99 cents per transaction). This increase will help us offset the revenues lost on land, and to keep Second Life a vibrant world that continues to push the limits of possibility - for another 15 years to come. Today we are pleased to bring Animesh to Agni and one step closer to release. Since last October, when we first introduced the Animesh Project, we’ve worked closely with the content creator community. We’ve been holding User Content Meetings where we listen to your ideas, make tweaks, and fine tune this feature. We’ve come a long way since then and are excited to bring Animesh to the main grid (Agni) as part of the SLB15 Celebration. For those of you who are unfamiliar with this project, Animesh is a new Second Life feature which allows independent objects to use rigged mesh and animations, just as you see today with mesh avatars. This means that you can now have wild animals, pets, vehicles, scenery features, and other objects which play animations! If you would like to learn more, we have the Animesh Forums where our users have been sharing their questions, ideas, and examples of what they’ve been working on. We also have an Animesh User Guide to help you jump into Animesh along with a weekly Content User Group meeting. More documentation will be coming soon! A special thanks to Lucia Nightfire for coming up with the name Animesh! Very few communities can say they’ve been around for 15 years, but that’s exactly what the Second Life community is celebrating this year! While Second Life’s official “birthday” is June 23rd, 2003, both our community-driven and official festivities kicked off this week in style! If you missed any of the major details, take a look at our blog post for a refresher in all things SL15B. In addition to the many events, parties, contests, and other celebrations - we took a moment to speak to Linden Lab’s CEO Ebbe Altberg about what makes Second Life so unique, and what keeps it vibrant and thriving at fifteen years. There’s also a cameo from an extra-special former Linden that you don’t want to miss! 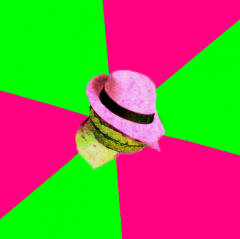 For more of Ebbe’s thoughts on Second Life and the incredible community we have, read his exclusive interview with Strawberry Singh over at her blog, and be sure to check out his avatar makeover! 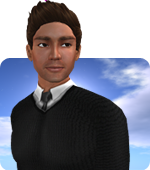 You can learn more about Ebbe’s vision for the next 15 years of Second Life in this recent podcast with Games Wisdom. Be sure to mark your calendars for Ebbe’s inworld appearance at Meet the Lindens this Wednesday June 20th at 2 p.m (PT/SLT). 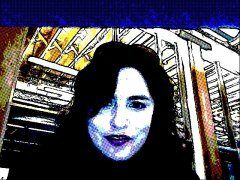 Thanks to Draxtor Despres and Marianne McCann for their work on this video! 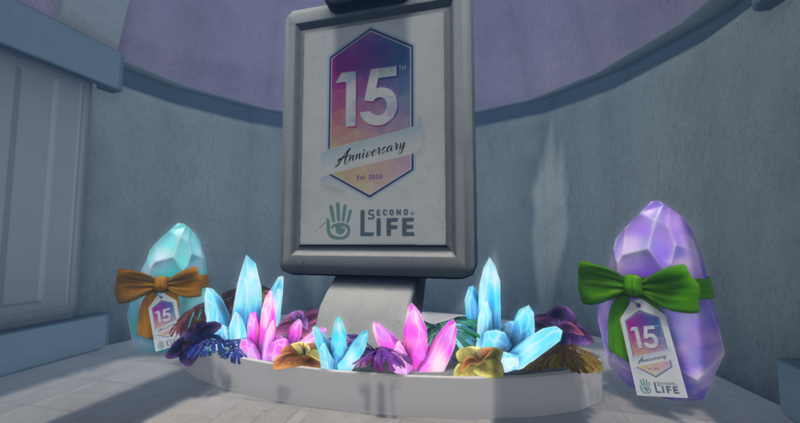 As Second Life turns 15, we look to the past, present and into the future of what makes this such an incredible community and place. The theme we chose for this year’s celebration is ‘Crystal’ - and it seemed the perfect theme for a year in which we want to reflect on Second Life’s incredible history, embrace its thriving present, and look forward to its exciting future. As we met to discuss all the things we wanted to do this year, the idea of a ‘tapestry of time’ came up again and again. Imagine a bazaar filled with colorful tents and tapestries from all walks of life. As you move through the street you encounter wonderfully diverse and interesting people, each bringing something unique to contribute to the bustle of the bazaar. As you pause to take in the sights and sounds, you glimpse a woman sitting at a table inside one of the tents, her crystal ball shimmering on the table in front of her as she looks you in the eye and invites you to come sit and see what the past, present, and future of Second life have in store for you. Fifteen years is a tremendous achievement for any community, and we’ve been hard at work on a fun and interactive gift hunting series to thank our Residents. The Big 15th Birthday Weekly Gift Grab starts today - June 18th, 2018! For the next 15 weeks, we’ll be releasing a different crystal-themed gift each week. All you have to do is find and collect the gifts. Each fabulous gift is available for one week only, and in one Region only. 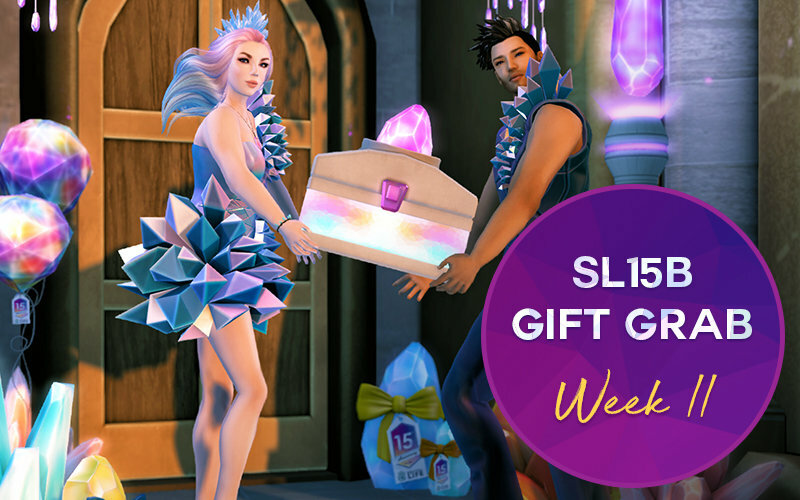 The Region will change each week, and we'll be publishing clues each week to help you find the Region to search for that week's gift – watch the Second Life social media channels and the Blog at for the clues. Remember, each gift is available for one week only, and then it's gone. You can collect as many, or as few gifts as you want, but if you want to collect the final super-special Birthday Gift in the final week you will need to have collected all 14 of the previous gifts. Don't forget to check the Blog each week for updates. We’re gonna party like it’s 2003! The Come as You Were Costume Contest and Party is a way to dust off your oldest, n00b looks and wear then out with pride. We’re getting together from 11 am to 1 pm (SLT) to dance and enjoy a look at the past and how far we’ve come. Join us and get in touch with your inner Ruth - you could win a L$5,000 costume contest prize! Rules are available here. Party like it's 2003! Dress up and get down with your favorite outdated look from the earliest days of Second Life at this special SL15B event, held June 18 from 11 a.m.-1 p.m. (Pacific). It’s nice to get dressed up in your fanciest from time to time - and we love a good reason to throw a ball - so this year you’re cordially invited to join us for our Crystal Ball - in celebration of Second Life’s 15th Birthday. Imagine the elaborate ball from the movie Labyrinth and waltz your most glamorous look over for a chance to win L$5,000. Rules are available here. Party with friends at the Crystal Ball Party & Costume Contest, held June 20 from 7-9 p.m. (Pacific). For the first time ever - we’ve gathered 80 of Second Life’s Merchants across 4 Regions for one big shopping extravaganza that you don’t want to miss! Each Merchant is providing a free gift in celebration of this landmark birthday and offering incredible deals on some of their most popular items. In addition, many will also be participating in a sale on the Marketplace as well. Visit each Region below to get a little celebratory shopping in, grab free gifts, and take advantage of the amazing discounts. A full list of participating Merchants is available here. Many of the Merchants are also participating in a Marketplace sale, so be sure to visit them in the web as well as inworld! You can visit any of the 4 Regions from the Destination Guide. In tradition of the last several Second Life birthdays, we have three days of incredible live music lined up for you! Come out and join us as we rock, pop, and roll to a variety of genres. Full line up can be seen here - though may be subject to changes because that’s showbiz! We’re back for another year of Meet the Lindens where some of the folks who work on Second Life sit down to chat about what makes Second Life so special, and field some questions from the community at large. Check out the schedule and details on our Destination Guide. All meeting will be inworld at 2pm (SLT). Meet the people behind Second Life. Participants include: Xiola Linden (June 18), Patch & Kiera Linden (June 19), Ebbe Linden (June 20), Grumpity & Oz Linden (June 21), and Brett Linden (June 22). All events at 2 p.m. (Pacific). That's a lot of stuff to digest - and it's just the beginning! See you inworld, Second Life Residents - and thank you for making this place for the last 15 years, and the next 15 to come! Private room available, for the mentally insane. You may wish to visit but you may be detained.” #South Channel. Seeking Musicians & Merchants for Second Life’s 15th Birthday Festivities! 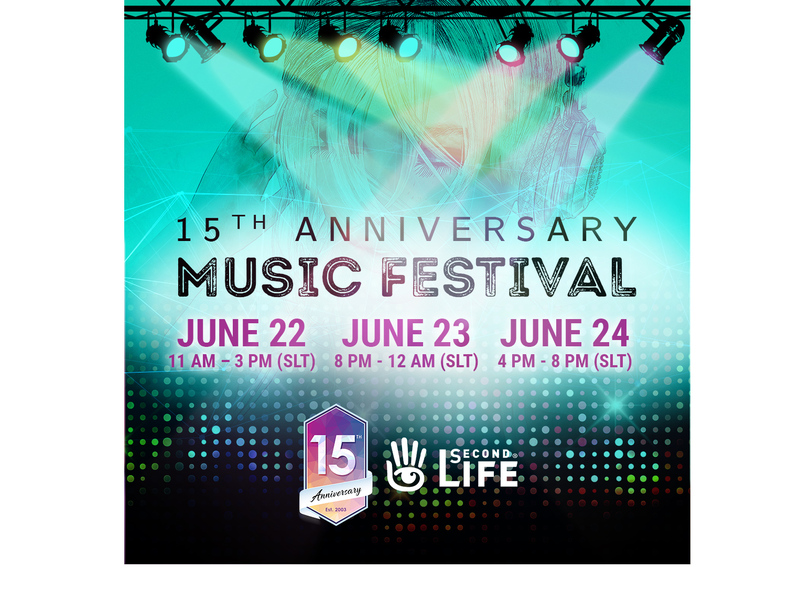 Second Life’s 15th Birthday is coming! It’s an incredible thing to have 15 years of history to celebrate, with no end in sight, and we’re planning to commemorate this milestone event along with our Residents! Please stay tuned to this blog and our social media pages for more details as they arrive - there are some new things in store this year we can’t wait to roll out and tell you all about! Read on for a just a few events we have brewing … we’re looking for your help! We’re actively seeking Merchants who are willing to participate in an inworld Official SL15B Shopping event! Our inworld shopping events have been very successful and we hope to continue that tradition with a big SL15B. We are looking for quality Merchants across all categories to be a part of this exclusive event. If you think that this is something you’d like our brand to participate in, read on! Space is limited! If you are a Merchant who is interested in being part of this event, please fill out this form no later than June 5th, 2018. The event itself will run from June 18th, through July 2nd, 2018. 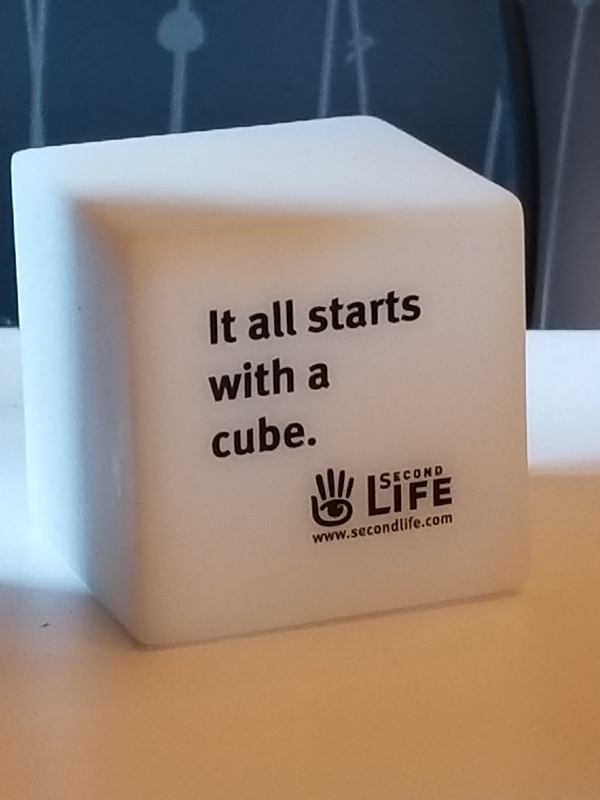 It’s great to be celebrating 14 years of Second Life with our amazing community! We’re looking forward to doing so this year, as well as many more years to come! Don’t forget - Music Fest is returning this summer and you can sign up now to be part of our Showcase Auditions. To sign up for an audition, please complete the submission form no later than May 18th, 2018. Sign ups will close at 12:01 AM (SLT) on May 19th, 2018. While we encourage everyone to sign up, it is not a commitment on your part and does not guarantee a spot at the auditions. We will review all submissions and extend audition invitations via email and/or inworld to the designated contact. All Second Life Residents are welcome to participate in the auditions as audience members. It’s an opportunity to see a variety of acts showcase the best they have to offer. For those who are interested, the auditions location will be shared in a future blog post. We’re excited about these events and can’t wait to share more with you soon! Here at Linden Lab, we’re deeply committed to ensuring the safety and security of our customers’ data. It’s why we began preparing for the May 25th implementation of the General Data Protection Regulation (GDPR) more than a year ago, and it’s why we want to alert you not only to some of the privacy enhancements we’ve made on our end, but also the ways the new law may impact you. Second Life Now on Instagram! We're excited to announce that we've opened up a new social media channel for Second Life. Since we're turning 15 this year - we decided that we're mature enough to be trusted with an Instagram account. Head on over, follow us, and we'll be sharing some fun things there. Check out our first post now!